There was a British double in terms of international second places on Saturday. 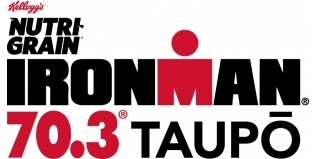 As well as Emma Pallant taking second place at Ironman 70.3 Bahrain (full report HERE), former Age-Group World Champion Laura Siddall continued with her great season which began way back in January with a second place at Ironman 70.3 Taupo. A great race, chasing down the multi-talented Meredith Kessler (USA) on the run, at the finish line the difference was just eight seconds! Check out the finish video below. It's truly been a breakthrough year for Siddall, which has included second place at Challenge Wanaka, fourth at Ironman New Zealand, Sub-9 at Challenge Roth and winner at Challenge Poznan amongst others. Her consistency and quality truly marks her out in the upper echelons now of what is a very deep pool of quality British middle and long distance athletes. Kudos to you 'Sid' - a great year! The queen of Taupo and emerging star prevailed in New Zealand. Braden Currie and Meredith Kessler repeated their winning feats from 12 months ago to mount successful title defenses in a pair of thrilling races at the IRONMAN 70.3 Taupo. A scintillating run enabled Currie to recover from fifth off the bike to hold off fellow Kiwi Mike Phillips by just 33-seconds to clinch an eye-catching victory. American Kessler, who has snared five straight IRONMAN New Zealand titles here in Taupo, clung on to claim a dramatic victory by just eight seconds from the fast-charging Brit Laura Siddall. With cool conditions and a stunning glass lake greeting the athletes at the start, it was Currie who established early control of the race by climbing out of the Lake Taupo waters with fellow Kiwi Mark Bowstead in 24:03. Bowstead assumed the advantage on the 90km bike to open up a 1:35 lead from a three-strong group containing Phillips, American Drew Scott and Australian Lachlan Kerin with Currie dropping back to fifth 3:12 down. By 5km on the run he had hauled himself up to third within 38 seconds of the then-leader Phillips and hit the lead mid-race before Phillips fought back. A surprised Currie took breath before a final push 5km from home led to victory in 3:52:44 from Phillips. Australia’s former Olympic rower Todd Skipworth closed late on the run for third in 3:56:56. Kessler emerged from the water with her nose ahead of swim specialist Rebecca Clarke of New Zealand in 25:35. Then on the bike, the American opened up a lead before she was caught at the bike turn by the in-form Kiwi Amelia Watkinson. However Kessler managed to push to a 1:47 lead off the 90km bike. Kessler appeared set for a comfortable win with a 3 minute advantage at the halfway point on the run. However, in a dramatic conclusion, Siddall, who placed third in the 2015 edition and fourth at IRONMAN New Zealand earlier this year, came with a powerful late burst to come within just eight seconds of a relieved Kessler who stopped the clock in 4:22:35. Watkinson, the second-place finisher 12 months ago, had to settle for third today in 4:28:24. "Of my seven wins here in Taupo, that was by far the hardest," Kessler said after the race. "Laura was so close—another 100m I think she could have beaten me." Kessler did an IRONMAN three weeks ago in Arizona, and she says she has tried to recover as best as she could. "I am thrilled to win here. And now I will recover and prepare to return here in March for IRONMAN New Zealand and attempt a six-peat which will be no easy task."